It’s Tawas Time - Times Two!! It’s great to be back in the Midwest for the summer and spending time with family and friends! Have a couple of trips planned to East Tawas, MI which is a perfect place for a little adventure with kiting friends! Moving to Oregon (so excited!) this September, so soaking up the good times in the Midwest. Hope that you can join me and have some fun! Tawas is going to be amazing! We have a vacation house that is set up specifically for kiters with its own private scenic beach. It’s an ideal area for kiting, learning and progression - tons of shallow and flat water with nice big waves at the point. It’s the best area in Tawas for kiting conditions and Tawas is one of my all-time favorite places around the world for kiting! It is the perfect spot for learning and any level of riding. Flat water and shallow over a huge area and waves when you choose to go out to them. This spot works in every wind direction because you can kite on both sides of the bay. Wind is more consistent at Tawas because it is thermal dependent. Please ignore the forecast - you have to know what to look for. If you see any warm/sunny conditions with any southerly flow, it is pretty much a sure thing! Some other conditions bring wind too. There have been so many times that the Chicago area had no wind and we got it good in Tawas. Come hang and kite with us whatever your level, it would be great to have you there! I will be offering IKO certifications, lessons, coaching and occasional tips for anyone interested. Please visit http://www.LikeToKite.com for more information and let me know as soon as possible if you are interested. The IKO card is very useful and is essential if you would like to ride at Montrose Beach in Chicago and Crandon Park in Miami or to rent equipment almost anywhere in the world. In order to provide IKO certification cards, I would be happy to do skill assessments and check rides. I am happy to certify you to IKO level 3L specifically for Montrose Beach - or we can go for the full 3N! Assessments are $50 with the option of upgrading to a lesson, if applicable. Please email me at Amanda[at]LikeToKite.com for more info and to set up a check ride. Demo gear will be available with many Ozone Kites and CrazyFly Kiteboards. I’m bringing my paraglider, windsurfer, kayak, rafts, outdoor games, etc. so we can all share in the fun. I’m happy to assist those who would like to learn more and further their skills, all complimentary! Conditions, skill level and availability permitting. The house is fantastic! A spacious nicely furnished home set amongst forest, sand dunes, ponds, and our own private kiting beach. There is a propane grill and the kitchen is fully outfitted. We all bring some food, sometimes cook together, other times eat out and occasionally do our own thing. Linens and towels are provided and there is a washer and dryer. Please bring beach towels, sunscreen, bug spray, beach umbrella and any other items that would make your stay more fun and comfortable. There is a projector so feel free to bring your DVDs and any other entertainment along. Ride sharing usually works out well. Some people only come for the weekend so there are different options depending on what your schedule is. It would be helpful for coordinating if you post your plans here. 1 queen size sofa sleeper in curtained off sunroom. Prices are per bed. You are welcome to share the bed and split the cost, if you like. Please understand that both bathrooms will need to be shared by everyone. 90 per night for king/master bedroom. Full week discount 530. 65 per night for a queen size bed, you choose bedroom. Full week discount 355. Please book and pay in full early to reserve your desired bedroom. Priority given to those doing full week stays and/or lessons. Trip #1 no refunds for cancellations; please send a friend in your place if you can’t make it. For Trip #2, there will be a 10% cancellation fee before August 15th. No refunds after August 15th, your friend is welcome instead! I understand Trip #1 has awkward dates being Saturday to Saturday. Availability for all of Tawas was very limited during that time. If you are interested in lessons either side of the posted dates, we could possibly arrange camping or a hotel for a couple of nights. There are other vacation rentals, hotels, and the Tawas State Park Campground. However, be aware that availability is very limited at these places during the summer season. There is also always the option to camp for free with no amenities at the nearby National Forest. We’ve always had a magical time at Tawas. The kiting is incredible but it’s also the environment, scenery, nature, a multitude of activities and especially the comradery that make the trips so special and memorable. So glad to be going to back to Tawas again! Please see below for more photos of various previous Tawas trips and our vacation rental this time around. Hope you can make it this summer, would be great to have you there! Looking forward to two more excellent trips! Thanks so much and happy kiting! Re: It’s Tawas Time - Times Two!! So excited for both upcoming trips! There is still some availability for the house, August 2nd through the 5th is especially open. Please contact me right away if you are interested in joining between July 29th and August 5th. The second trip is fully booked. 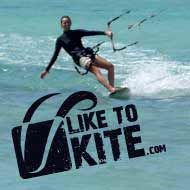 Would still love to have more people kite and learn with us! I am happy to assist finding alternate lodging. Thanks and looking forward to some awesome times ahead with great kiting friends!